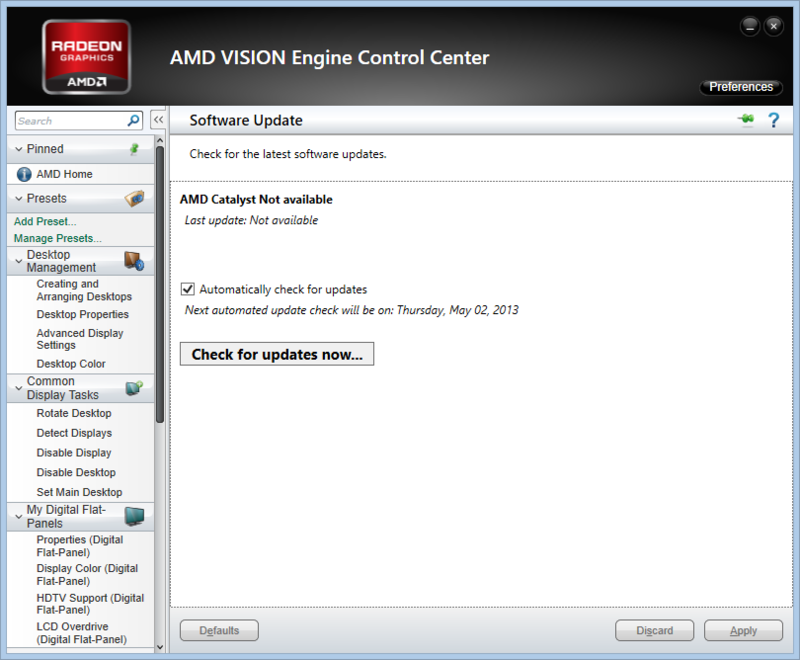 What AMD driver version are you using? I would recommend you try Catalyst 15.11.1 beta which i believe should resolve the lag issue you mentioned. Please make sure you unisntall the current drivers first. I will try this and then return. Thank you. Alright, so I tried what you suggested, and I've found that it works a little bit better... There's still SOME lagging, but it's minimal, and I can live with that if there isn't any other good/free/easy option... BUT when it tells me that there are updates available, do I just update or could that be updating to the version I had before? OR will it only update the new version that I downloaded, which was the one you suggested? You can disable the driver update notifications as per the screenshot below. We are hoping to release a driver update soon, so stay tuned for that. When it's ready we'll post it on these forums.